Joseph Schooling who swam in Lane 4 of the men’s 100m butterfly came in first at 50.39s. He competed against several Olympic Gold medalists like Chad le Clos of South Africa and Michael Phelps of America. 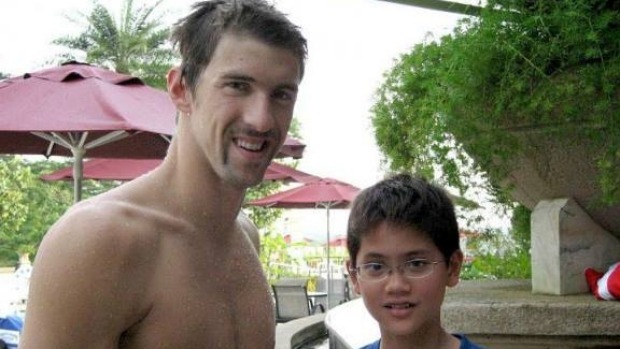 Schooling is a big fan of Phelps. A picture circulating in the internet taken in 2008, shows a starstruck teenager posing with his idol. Today (13 Aug), Schooling beat the greatest Olympian in history in the final of the men’s 100m butterfly at the 2016 Games in Rio de Janeiro. Schooling pipped the American in the semifinal yesterday as he became Singapore’s first swimmer to qualify for an Olympic final. Phelps and Schooling after the heats of the men’s 100m butterfly. Now he has denied Phelps his 23rd Olympic gold medal. 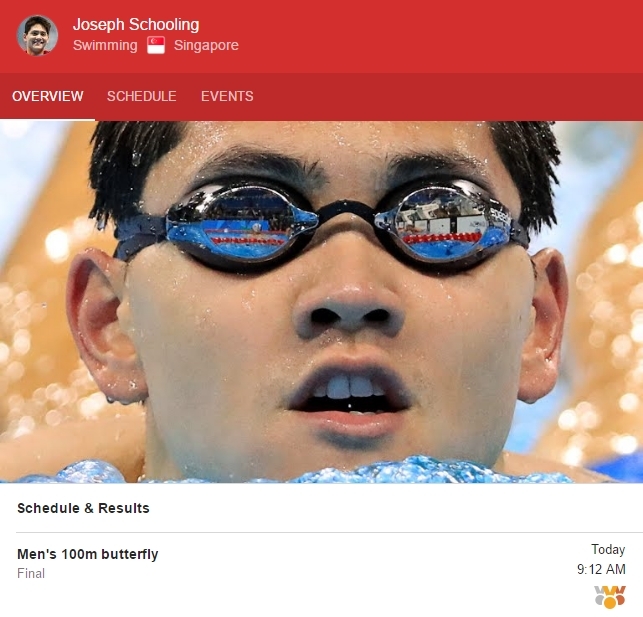 Yesterday, Joseph Schooling won the congratulations of Prime Minister Lee Hsien Loong, among others for his “stellar performance” in the pool. He clocked 50.83sec in his 100m butterfly semi-final piping Michael Phelps and creating a new Asian and national record. It was also the 21-year-old swimmer’s personal best. It is the fastest time in the world for the sport this year.